I guess till now, everyone has seen only the brighter side of my journeys. Many ask me whether I have faced any difficulties during such trips. The answer is…Yes! There were many! I always don’t bother to talk about it as it all seems to be fun now. However I think, I should narrate those incidents now, at least for the sake of inspired solo travellers! Those who have gone through my first article in this blog knows how I ended up being a solo traveler. It was not planned, but everything just happened like that! Can you guess what the first sight was in the first morning of my journey? Cross genders who were making noise and touching others asking for money! I was scared. But nothing happened. Then, till I reached Bhubaneshwar, everything was fine. After that, I got lost in the crowd of Jagannatha Puri temple. (Yet another scary scenario!) 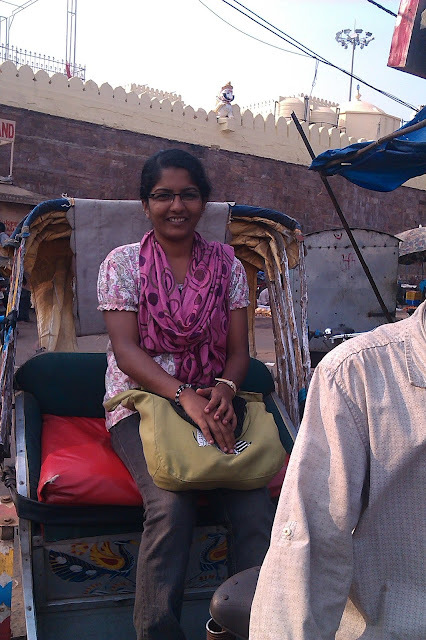 I and my cab driver, Raghu, put our mobiles, purse, my Camera and our sandals in a locker. For convenience, I gave the locker keys to him. We roamed around the temple. He was explaining about the festivals in Puri. After seeing the temple, he asked me to check out the Lekshmi temple. But this time he won’t be there to accompany me. He told me that he will be waiting outside the Lekshmi temple and once I finished my sight-seeing, I can contact him from there. In less than 15 minutes, I got out of the crowd in the Jagannatha Puri and finished visiting Goddess Lekshmi at the Lekshmi temple. But when I came out, Raghu was nowhere to be found! No mobile to make a call or no sandals to go out and search. Literally there was nothing with me and I am lost in the middle of a huuuge temple with a laaaarge crowd. So once again I roamed around the temple searching for him. Yet again I couldn’t find him. Did he go away? It was 4.30PM and at Odisha it will get dark earlier when compared to Kerala. I only have a 100 rupee note in the left pocket of my jeans. No one around me knows any language that I know. Even if I manage to find some, they also don’t have mobiles to call Raghu! I also don’t know his number by heart! 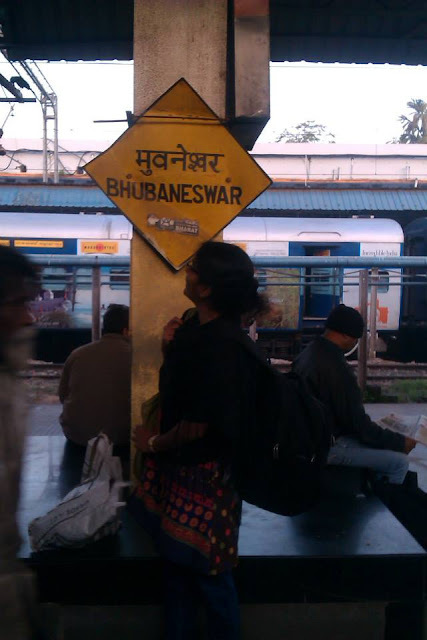 Going back to Bhubaneshwar with just 100 rupees is not possible. It’s my first journey! Imagine the situation! I crossed my fingers and looked at the sky, "Please don’t! I am 2500km away from home". Many desperate thoughts craved its way into my mind. This includes the old Devadasi system too! However, I shunned those thoughts and decided to try my luck once again. So I roamed around the temple again and again. There was no trace of him! Vanished into thin air! Lost in thoughts of what to do next, here comes Raghu! "Maam aap kaha tha? Maine aapko doonda". My face was expressionless. I didn’t feel angry. I didn’t tell him that I got lost! Instead I thanked God wholeheartedly before leaving Puri, for not ruining my first solo trip! 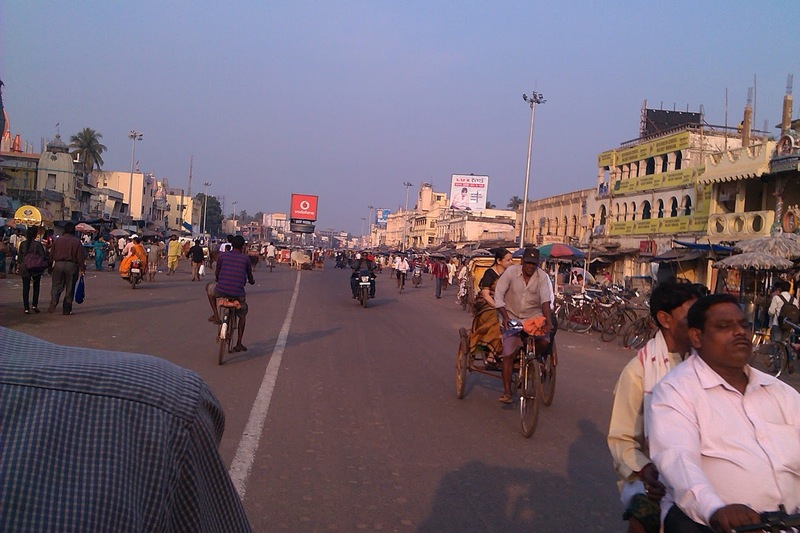 Then it was time to leave Bhubaneshwar. As I have mentioned earlier, it will be dark by 5PM and my train would arrive at 5.30PM. Hugging my bag, I waited just below the information board. The announcement for the train was going on continuously. But it was in some other language not known to me. English announcements where there, but they came only after a not-so-short break. I listened to the announcements. There was neither any announcement pertaining to my train name nor its arriving platforms. When it became 5.30PM, I started to panic. I stood up to check the information board. There was no display. There was no information counter to enquire! Then I noticed a guy who was with camouflage bags (Looked like an Army Man!) sitting next to me instead of the aunty who were sitting there few minutes back. May be because of my expressions, he asked me where am I going. I told him my train details. He then checked an application in his mobile and told me that the train was late by 30 minutes! His train would come in 15 minutes. He was going to Vizianagaram. Also, my guess was right! He is from the Army! Hawaldar Pavan Kumar. We engaged in small conversations and he checked the train schedules again. My train was late again by 1 hour. By then, all my courage to wait for the train was gone. It was totally dark and I am at an unknown place without any knowledge of the local language. So I asked him whether he can come with me. Without any hesitation he said yes. (In fact he offered to accompany me, if I am scared to go alone.) Finally when the train reached, it was a real misery. My sleeper compartment was filled with people from different north eastern states. Pavan Kumar was repeatedly saying that I made a wrong decision in booking a sleeper class for long journeys, especially if it is coming from the North. This was a big lesson for me. Do not book sleeper class tickets for long journeys, especially when it is coming from the North! My berth was occupied by someone else and Pavan helped me to get into the upper berth. Standing in the crowd was difficult for him, so I offered half of my berth to him. I also asked for his ID card (Just to make sure that I don’t run into more mistakes and troubles ;)) He was a good companion till we reached Vizianagaram at 12AM. The next day, when I woke up, the situation under my seat wasn’t better. One person was staring at me with his eagle eyes. I felt very uncomfortable. Because of this, I didn’t feel like going to the toilet too. I spent half of my day in the third berth, without going to bathroom or brushing my teeth or having any breakfast. But after 2PM it was getting uncontrollable. My stomach was yelling at me to give its fuel. So I bought my lunch and without washing my hands (Eww… I still can’t imagine that) I had to eat my lunch from upper berth itself. By the way, as you know, you cannot ‘sit’ in the upper birth. You have to crunch in order to ‘sit’ there. After the lunch, there was no way out for me! I had to get down to wash my hands. So I took a kurthi from my bag and ran to the toilet. I changed from my T-shirt to the Kurthi. This I believe at least reduced the number of stares I got. Along with that, my mobile died on me by then! By late evening I happened to see some guys (again in camouflage T-shirts) talking to people near my seat. My intuition was telling me that they were Malayalis. So I asked them. They said yes! And all of them were from the Army! Later in the evening, they came for me, took my bag and told me that it is not safe to be alone there. They dragged me out of that crowd to their 3AC compartment. (Peace! Finally!!!) I met some families there and talked with them till I reached Trivandrum. The journey was much smoother than ever! But before I left, they warned me not to travel in the sleeper compartments, that too at nights, in the future. In Hampi, I was crazy hiking the Mathanga hill at dawn at around 5.30 AM. While climbing I slipped and fell down a bit. Luckily I got into a crack of rock. If I had ended up at the other side of rock, the air was strong enough to make me fly over the valley of Mathanga. With bleeding knees and fingers, I was able to witness one of the beautiful sunrise there! At Bijapur, while waiting for the Solapur train, I was alone in the upper class waiting room of Bijapur. Suddenly a girl ran towards me saying something in Marathi, showing me her mobile phone. My reply was "Only Hindi". Then she started narrating her story how her husband and her in laws were beating her and now she is running away from them to her parents. Her husband is now running around searching for her. (That line obviously took a toll in me.) And the look in her eyes was making me nervous. She was of my age and couldn’t read Hindi or English. She wanted to call her uncle but she didn’t have enough balance. Making call from my mobile doesn't seem like a good option. So when I was about to step out to recharge her mobile, two guys stormed into the room, yelling at her. She was answering them back. I knew that I shouldn't interfere, but still I did. By body moved on its own. Thankfully it was her uncle who came and was worried looking for her. (He could have told it sooner in a calmer way!) After sending her off, I returned back to retrieve my bags from the cloak room. Unfortunately the waiting room was locked. I ran to the railway authorities and told them about me bags. They gave me the keys to the room and said "Lock the room and give the keys to the station master when you leave." Can you believe it? The railway authority gave their keys to me! That was a first time experience! Never expected that! Now, I had 4 minutes to decide. Whether I should wait for my 8.30 train or should I go in the 6.20 train with a family whom I just met at Golgumbaz. Without much thought I got on with them. They were honored to adjust seats for a gal with an DSLR (That's another story!) Now the next villain was the TTR. (Obviously I didn’t have the tickets!) When he asked me the tickets I acted being very busy in my mobile. At that time, he found out someone traveling without tickets. Then police... Shouting... A loud mess. I took a deep breath and sat back... Somehow I managed to reach the Solapur station with that family. When I reached the station, the station manager's internet connection was down. So I checked my internet connection in my about to die mobile. “Same pinch!” I also didn’t have the internet connection and I couldn’t show him my booked tickets for the Retiring room. It was 9.30 by then. A person came for a room and was waiting for the master's reply. But I interfered and said "Chalo bhai, yahaa koyi room nahi hai. Sab reserved hai". He was puzzled along with the station master and stood there for a while. Soon within some seconds, both of us got our internet connection back and the station master repeated my lines unto him. Something worst happened at my Uduppi trip. Due to the delay in getting the train, I happened to choose Murudeshwar instead of Honnavar. This resulted in adding up another eventful trip to my chart. The trip was good until I got down from the watchtower of the temple. But when I got out of the Darshan queue and checked my bag to buy Prasad, I was stupefied to learn that my wallet was missing! For a second, I didn't get any idea as to what to do. Then I ran to the security to help me out. They blocked all the exits and checked the CCTV footage. But in the end, my wallet was gone with my Debit + Credit + Pan + Voters ID cards + an 8GB memory card (which had a lot of mobile clicks from my previous journeys) + more than 1500rs + all my receipts like my return journey tickets and receipt of cloak room where I kept my backpack. This trip presented me with a very valuable lesson. Never ever, take two bags (camera and sling bag) in heavy crowds. 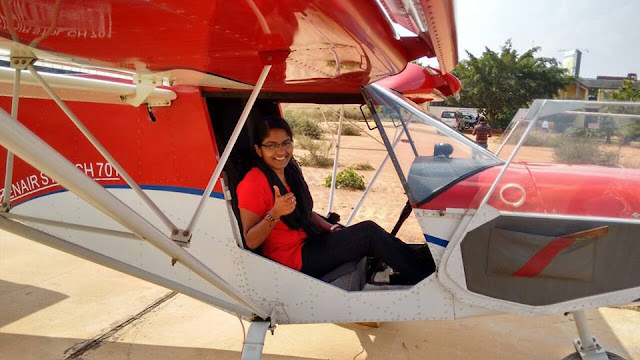 Thanks to the temple authorities’ gestures and the Almighty, the solo traveler once again reached her home safely after completing a trip worth a big lesson! Even if you have a reserved ticket, your train will make you confused just like my return train from Solapur. It made me stay awake till 2AM! At Renigunta, I even had to ask the help of the railway police to get my seat back in the train… That too in the middle of the night! Trust me, at that time, you will not realise that it is night because you will be in an extremely alert mode. Of course, sleep will be nowhere near your eyes! Sun tan is far away but sun burns will be your rewards from going for such journeys. Both my forearms have been benevolently "rewarded" now! Do not expect everyone in India to know Hindi! At Jammalamadugu, my language to get my meals was through actions! If journeys in the train are more than 1 day long, in what hope will you leave your bags at the seat especially in some unavoidable situations like using the toilet? Can you go to the bathroom peacefully? Please do not show off your gadgets while travelling! Not everyone is a Harishchandra! If you show off now, you will not get a chance to show off the next time. Don’t trust anyone. It’s foolish to think that this must be the angel, God has sent to you for help. They may not! Don’t let others think that you are nervous. Even if you are lost at the middle of night! Be confident!